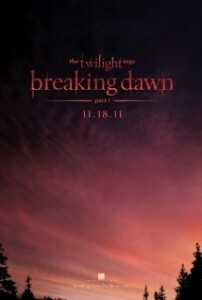 Last night during the 2011 MTV Movie Awards, the much anticipated trailer for “The Twilight Saga: Breaking Dawn Part 1” debuted. During the premiere, you could hear the audience going nuts during pretty much every scene. The epic love story between Bella Swan and Edward Cullen concludes in this final installment of Stephenie Meyer’s best-selling series. DREAMGIRLS’ Bill Condon directs this first segment of the two-film adaptation.